Hello friends :) Hope you've had a happy and productive week so far. I was super productive this weekend and then Monday hit. And I was the least productive I'd been in weeks. At least I made up for it earlier right? I've been working on more Union Jack pouches, one for another niece and one for me. Also been working on Union Jack blocks for my own memory quilt of my dad. I like working on it if I don't think too much :( I have three finished blocks maybe I can share this week! 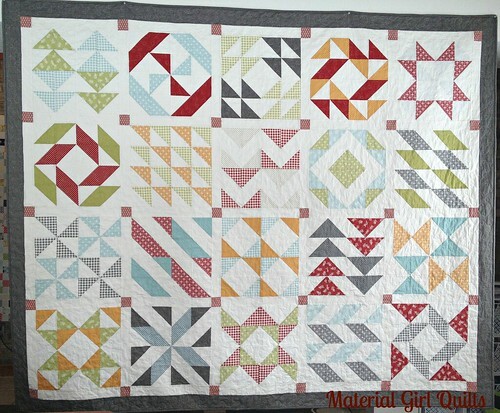 For those of you who follow me on Instagram (@quiltstorymeg) you may have seen that my very dear friend just had her third baby who quickly became seriously ill from a virus. They were told to say goodbye to their newborn daughter :( BUT sweet baby Kate is STILL fighting a week later. She's amazing and there have been a lot of miracles. 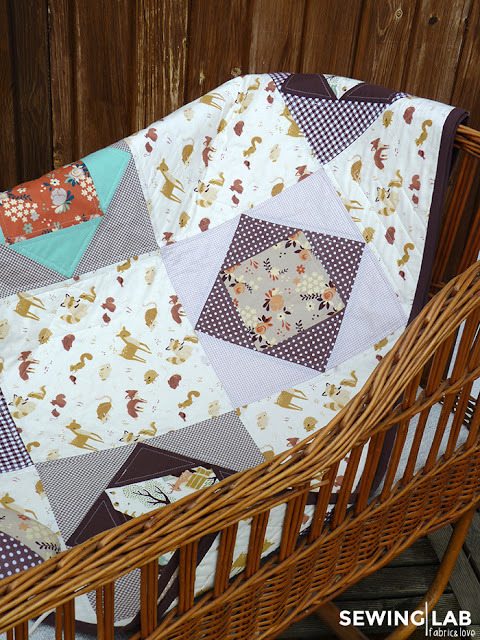 I made sweet Kate a quilt and name blanket. I finished up a name blanket for her sister last night. I'll share them all this week too :) Follow my on Instagram to stay up on her story, her mom is so faithful and inspiring. So what have you been up to??? 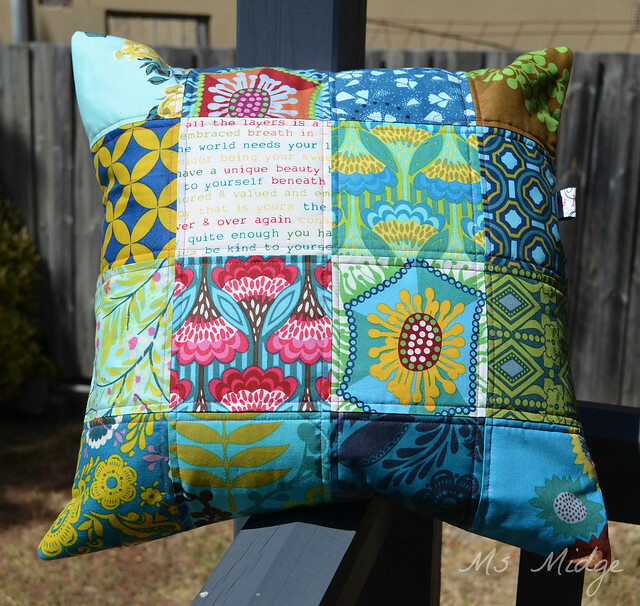 Here are some great projects from last week, can't wait to see this weeks! 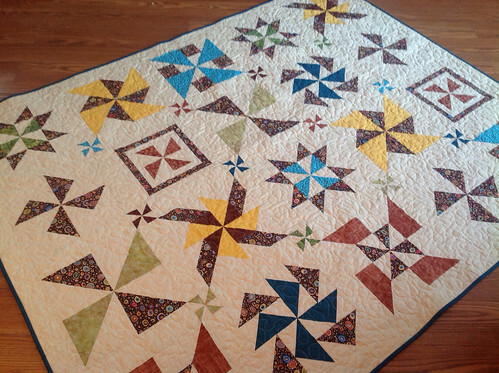 Quilted Panel from Where's My Seam Ripper? 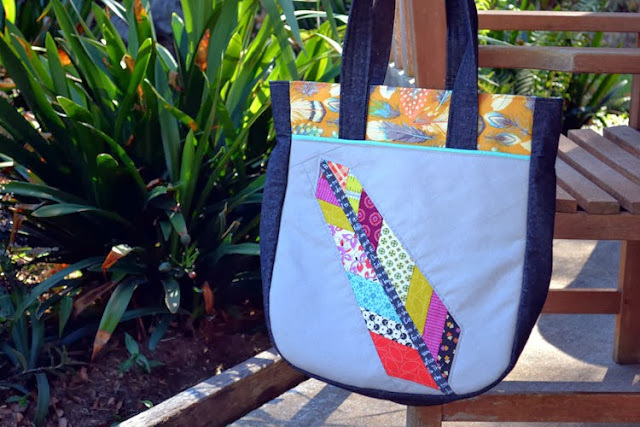 Link up any recent fabric project. 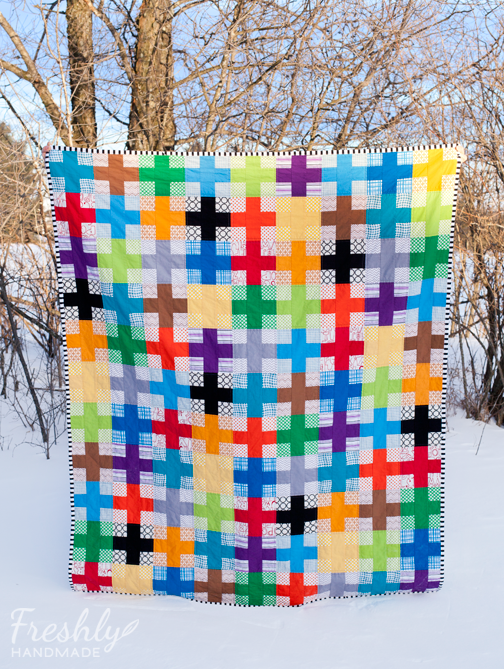 Such wonderful news to hear about your friend's baby :) And I'm glad you're getting there on your memory quilt, it must be difficult, but will be something so special for you when it's done. Great features! Hope your friend's baby pulls through. Keeping your friend and her new daughter in my prayers this week! I hope that your friend has good news soon. Its horrible to have a sick baby, but nothing feels better then if they get well. 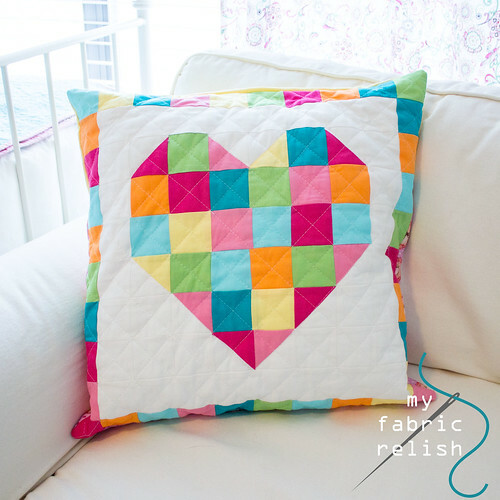 Love that plus quilt you featured...I've been thinking I need to make an I-Spy version. 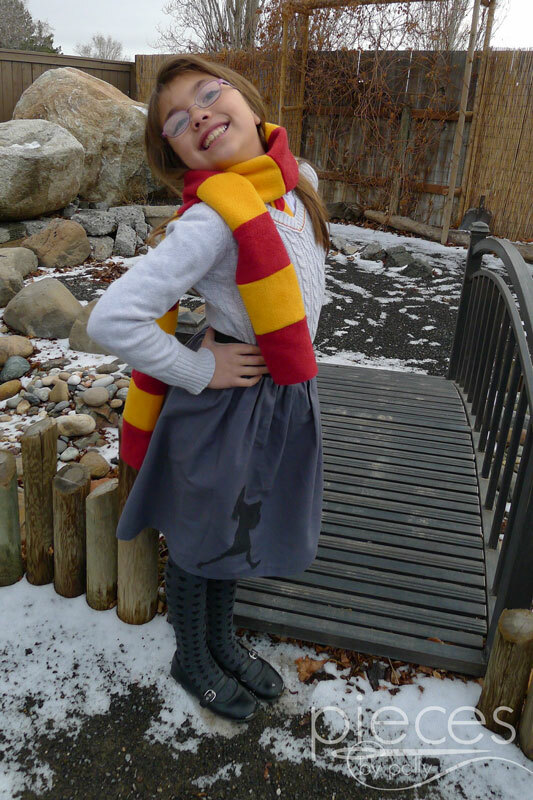 And thanks so much for featuring my Hermione Skirt. 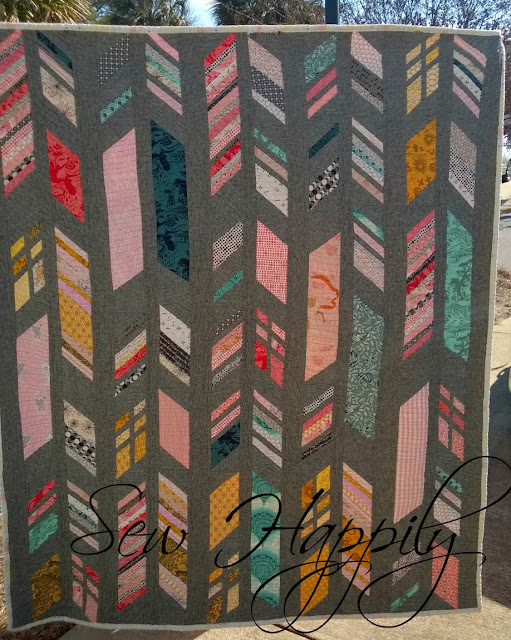 I want to try making the "Layer Cake Sampler from Material Girls Quilts" but I am having a hard time making such patterns since I am just beginning in this kind of craft. Thanks again for the feature ladies. You are awesome. Meg - I'm praying for little Kate and hoping she gets better soon.